TETSUYA made his debut as L’Arc~en~Ciel’s bassist. 1st Single “wonderful world/TIGHTROPE” released. 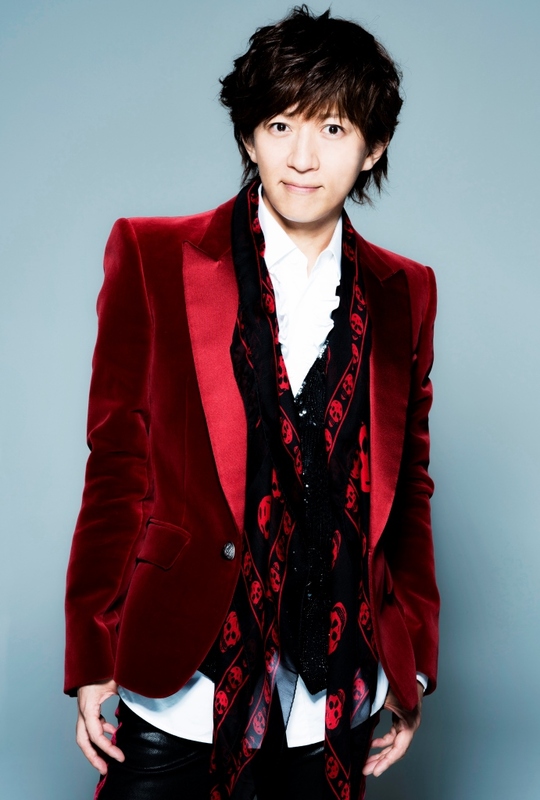 He moved to Warner Music Japan , releasing his second single “Shinkiro”. 3rd Single “15 1/2” released. 1st Album “Suite November” released. 4th Single “WHITE OUT -memory of a color-” released. He appeared in “Tenka ni -DANGER Ⅱ” held at Nippon Budokan. “REVERSE” picked as an opening theme for Playstation 2 by Konami,“NANA”. He wrote and played bass for “Creature Creature”’s album “Light & Lust”, including “Paradise” and “Kaze no To”. Appeared in “Tenka-DANGER Ⅴ” held at Nippon Budokan. HE changed his artist name from tetsu to tetsuya for L’Arc~en~Ciel, and to TETSUYA for his solo. Appeared in “Inazuma Rock 2009” held in Karasuma Peninsula Park in Kusatsu City, Shiga prefecture. Appeared in “Ken LIVE in TOKYO-Birthday 11 days late” held at JCB Hall. TETSUYA MOBILE Exclusive “PREMIUM NIGHT PARTY “TETSUYA DE Tetsuya”-Heijitsu de Gomenne-” held at Daikanyama UNIT. 6th Single “Roulette” Released as “HEROMAN” opening theme aired on Tokyo TV. 7th Single “LOOKING FOR LIGHT” released. Appeared in “Inazuma Rock 2010” held in Karasuma Peninshura Park in Kusatsu City, Shiga prefecture. 8th Single “lonely girl” released. DVD “FIRST TOUR 2010 Roulette wo Mawase-LIVE & DOCUMENTARY FILMS- Released. 2nd Album “COME ON！” released. Appeared in “Inazuma Rock Fes2012”held in Karasuma Peninshura Park in Kusatsu City, Shiga prefecture. He announced the restart of SPOUSE as the collaboration with Xing Inc and Joysound. First Dinner Show “Christmas Dinner Show 2015” held at Grand Prince Hotel Shin Takanowa Banquet Hall Hiten.